Something intriguing has caught my attention. A major league sports franchise owning a TV station, that is. Rupert Murdoch sold WFXT FOX25 to the Boston Celtics in 1989. The New York Times article talks about the transaction (CLICK HERE). 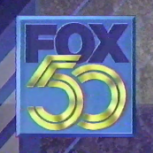 However in 1995, FOX regained control of WFXT. That would change in 2014, when Murdoch traded WFXT and WHBQ Memphis for COX stations in San Francisco KTVU and KICU. I didn't know an NBA team owned a FOX affiliate. I didn't know another FOX affiliate was owned by an NFL and another NBA team, either. Tom Benson, who both owns the New Orleans Saints (NFL) and the New Orleans Pelicans (NBA), owned WVUE FOX8 from 2008 until 2017. CLICK HERE for the ESPN article. I've been told that the Jays and Sportsnet are in the same division of Rogers Communications (which must've meant their media division had amazing years in the 2015 and 2016 fiscal years, haha). The owners of the Angels also own their flagship radio station, KLAA - licensed to Orange, California with an ESPN Radio affiliation. Plus KJZZ, an independent station in Salt Lake City (owned by Sinclair) was held by the owner of the Utah Jazz. At one point it was a UPN affiliation but that's the only network they've had any agreement with. Wnen the Saint Louis Cardinals switched radio broadcasters in the late aughts, the Cardinals invested into the station with 50% ownership. They soon reduced that and a few years later Cardinal broadcasts returned to their heritage radio station. The most successful example of a station owning a station, albeit cable, is when the Yankees started YES. Rumors are that when Fox/Disney divests it, Yankees may buy back the controlling interest. Indians and SportsTime Ohio until a few years ago when 21CF bought STO. Why Fox doesn't consolidate STO with Fox Sports Ohio is beyond me unless they're getting better retrans deals as seperate channels. 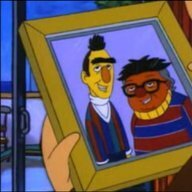 Not to change the subject, but has there ever been a Native American Tribe that has owned a broadcast facility in the US? A Native group almost owned KREZ, which is a satellite of KRQE. A tribe? Don't know, but Cook Inlet Television used to own WSMV and WTNH before Meredith and LIN bought them. I remember when KXTV was a Sacramento Kings Station due to Tegna Owning the broadcasting rights from maloof. I'm surprised no one has mentioned the Atlanta Braves/WTBS, the Chicago Cubs/WGN-AM-TV, and the California Angels/KTLA and KMPC and later KCAL-TV. But those situations were different as they were under larger corporate umbrellas (Turner, Tribune Co., Golden West and Disney, respectively). As far as a team directly owning a broadcast station, I can only think of the aforementioned Angels/KLAA and Cardinals/part of KTRS combos. There was also the Polhad family which owns the Minnesota Twins and an FM in the Twin Cities that was the Twins' flagship for a while, though that is no longer the case as the team has moved back (wisely) to WCCO. FWIW, the Boston Celtics also owned WEEI (AM) for a time, alongside WFXT. I'm surprised no one has mentioned the Atlanta Braves/WTBS, the Chicago Cubs/WGN-AM-TV, and the California Angels/KTLA and KMPC, but those situations were different as they were under larger corporate umbrellas (Turner, Tribune Co. and Golden West, respectively). yea i remember those as well. in fact theres also KMAX/KNTV/KNBR (AM) for SF Giants, KQCA/KTVU for Oakland Raiders and KOVR/KPIX for 49ers although CBS stopped airing 49ers as a simulcast from KPIX but instead from CBS themselves. The Navajo Nation owns KTNN-AM 660, a 50,000-watt station in Window Rock, Arizona. That's a completely different thing. Owning the broadcasting rights is not the same as owning the team itself. ok it might have been the other way around. its been a long time since it happened. That's not what we're talking about. Please read the title of the thread carefully before you post. How bout a team owner owning an entire network? Comcast owns the Philadelphia Flyers and NBC. John Fetzer owned an entire broadcasting company which at the time owned WKZO (now WWMT) Kalamazoo back in the 50's and 60's while owning the Detroit Tigers at the same time. NESN is 80% Red Sox and 20% Bruins. NBC Sports Boston is 20% Celtics. Didn't he also own WWTV & WWUP at one time as well? The now-defunct PASS network was owned by another former Tigers owner, Tom Mohagan, until 1992, when he sold PASS to Post-Newsweek (which already owned WDIV) and the Tigers to the Illitch family (who already owned the Detroit Red Wings and Little Caesar's) to focus on his then-ownership of Domino's Pizza. Wouldn't WRAL/WRAZ with the MiLB Durham Bulls, and on a partial basis the NHL's Carolina Hurricanes, count too? Don't forget the Mariners owning the majority of Root Sports with AT&T the balance. I'd call it Root Sports NW but I think we can retire that suffix now.